Valkyries will begin their 2017/18 campaign with a trip to Loughborough Lightning before back-to-back home clashes against Bristol Ladies and Saracens Women next month. 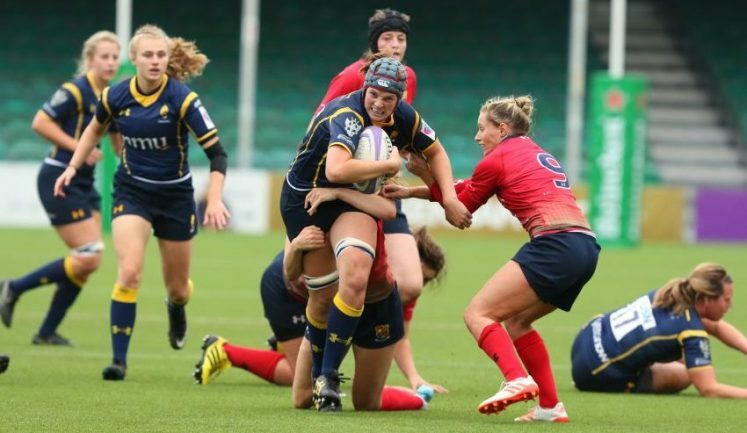 The RFU has announced Tyrrells as title partner for the new women’s domestic competition, with the official name of the competition now the Tyrrells Premier 15s. Tyrrells Premier 15s will kick-off on Saturday 16 September as ten teams compete to take home the inaugural title. The competition will operate in a league format with home and away fixtures confirmed today. The top four teams will progress to semi-finals played over two legs, culminating in a final on April 29. To view the full fixture list please click here. The new three-year partnership sees Tyrrells investing significantly alongside the multi-million pound commitment from the RFU into the Tyrrells Premier 15s. This investment is expected to improve standards of the women’s game, as well as increase the talent pool available for selection for England in the future. The new partnership also sees Tyrrells become the Official Crisps of England Rugby, benefitting from a range of partnership rights, and an exclusive supplier to Twickenham Stadium. RFU Director of Professional Rugby, Nigel Melville said: “The Tyrrells Premier 15s competition is an important step forward for women’s rugby to strengthen the foundations of the women’s game as it continues to grow in popularity. “The competition will crucially expand the playing pool of players available for international selection which will enable us to reach our long-term objective of running dual professionalised 15s and sevens programmes and allow us to compete on all fronts at the highest level. “This is a new competition and we are thrilled to have a title partner in major English brand, Tyrrells, on board from day one. Adam Draper, Marketing Director Amplify Snack Brands Europe, said: “We are really proud that Tyrrells is now league sponsor of the inaugural elite women’s rugby competition, Tyrrells Premier 15s, and the Official Crisps of England Rugby. “This partnership is a union of two much loved and iconic English brands and we look forward to delighting our consumers by bringing this partnership to life on-pack and in our brand communications over the next three years. “The inaugural Tyrrells Premier 15s competition is a great opportunity to inspire more women to take part in rugby. 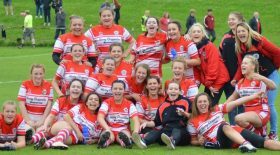 Alongside the Tyrrells Premier 15s competition a new development league will also be established where each of the ten clubs’ second teams will play in competitive games across the season. To supplement the league programme, the second teams will also compete in the RFU Womens Senior Cup, alongside the Womens Championship North and South XV teams.